Maintenance of a car is really important! Whether you have bought a new car or a used one, you would like to get the most of every mile you drive. It has been seen that vehicle owners know the importance of regular maintenance but tend to overlook or delay it. They only tend to visit a repair center when their car breaks down or faces some major issue. But remember, regular car maintenance is a must for smooth functioning and overall performance of your vehicle. Find a foreign auto repair in San Antonio and schedule an inspection of your car today. Filter and Oil Change â€“ Every automobile manufacturer recommends a regular change of oil and filter. You should look for a fuel injector repair service in San Antonio to get regular oil and filter changes. Regular oil and filter changes keeps the engine lubricated and your automobile running smoothly. Dirty filter can shorten the life of your car engine. Brakes Check â€“ Brakes are a critical component of your car and you cannot understate their importance. Regular check of braking system can help prevent serious breakdowns while you are on the road. Brake inspection involves the inspection of operating hardware and hydraulic system of brakes. Transmission Assembly â€“ Every car manufacturer provides a regular maintenance checklist, and details of transmission assembly maintenance. It is important that you follow the manufacturerâ€™s guide for transmission assembly. So, always get inspection and maintenance done at a certified auto center in your area. Tires â€“ Tires tend to wear out over time. Get tire pressure checked regularly. Tires carry the entire weight of your car. If you do not maintain proper tire pressure, they flatten and rub on the ground when you drive. It causes the tire to wear out before time. Fluid Check â€“ Just like oil, engine fluids also need to be checked regularly. It includes transmission fluid, engine coolant, brake fluid and more. If fluids are not maintained, it may cause the engine to overheat and result in engine fail. You’ll also want to make sure that you keep your car clean as this is another important part of maintenance. Have a look at something like Automotive wipes so that you can keep every part of your car as clean as possible. Routine maintenance also helps in identifying issues at an early stage and eliminates expensive repairs later on. 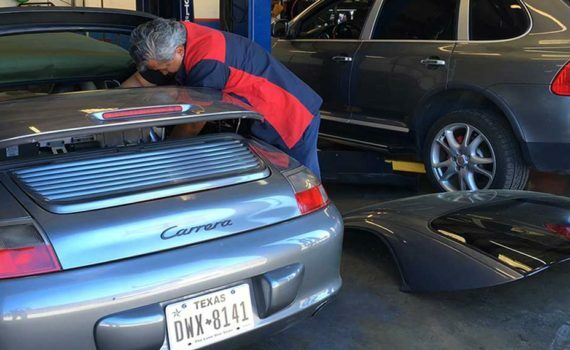 For multipoint inspection of your automobile in San Antonio, get in touch with JM Automotive. Call 210-646-8979.